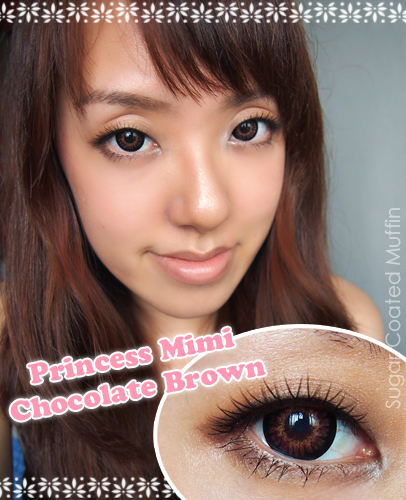 Always open to try new contact lenses ^_^ These were kindly sponsored by Maple Lens. Thank you! The falsies is a freebie. 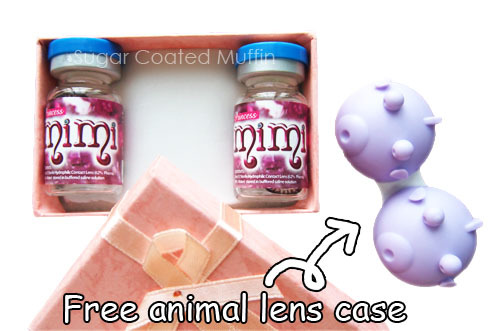 Check out the cute animal case! I think it's a purple fish lol Even my sis said it's adorable. 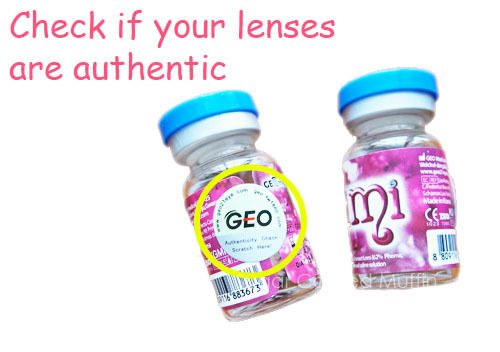 Contacts come with GEO Authenticity Check stickers so worry not. 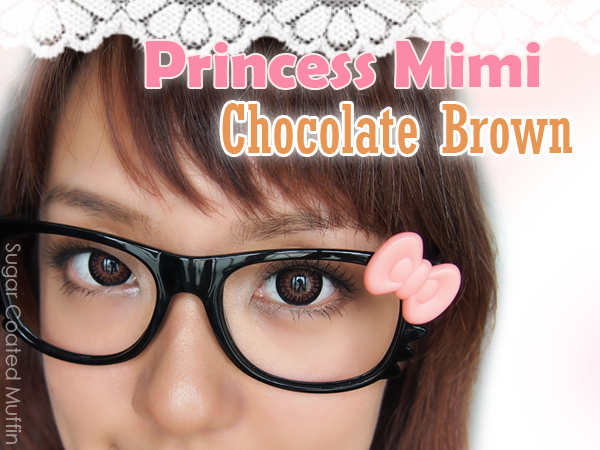 I got Princess Mimi Chocolate Brown because I think Tsubasa is so dam chio!! 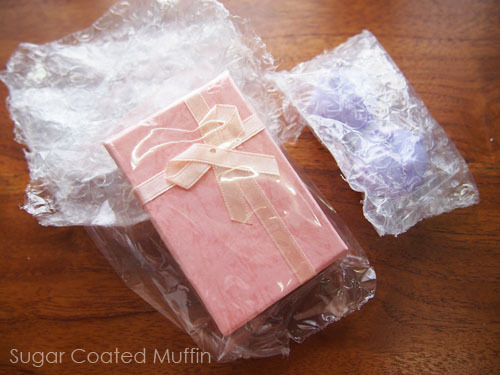 \(*o*)/ I saw all these other bloggers reviewing them and I was so jealous. Enlargement is great even though it's just 14.8 mm. 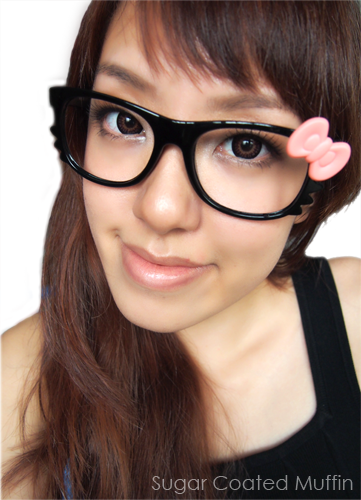 Surprisingly, I could wear these without makeup. The colour and design is so natural, it doesn't look weird at all. Omg.. Really wish these came with my power now. 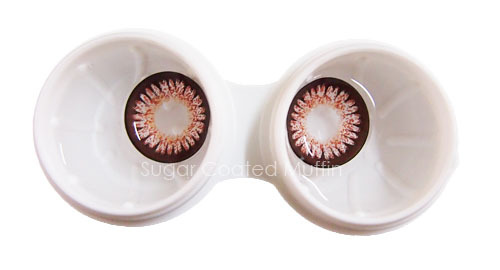 Such pretty lenses.. Comfort level was surprisingly good. No eye irritation or dryness after a few hours. Water content is 38% but it was somehow good enough for me. Lmao my nose looks strange here. Was trying out nose contouring and failed terribly. I need to find a better brown to work with. Mine are either too orange or dark. And some stupid photos. Because I can. 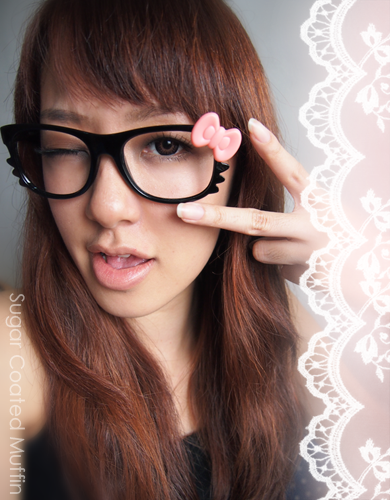 Btw, that middle pic is 'pushing my specs up' pose but somehow it looks like I'm showing my middle finger! And what else? Discount for my readers! April 2012 promo : Buy 2 Get 1 Free + VIP Membership Program. 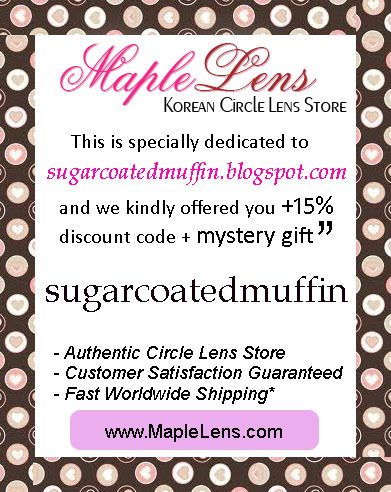 VIP members get free contact lenses for their birthday! 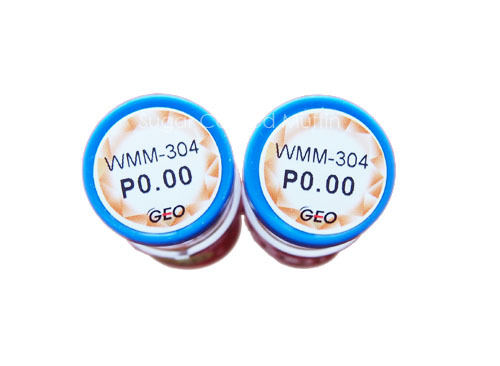 ** Product was provided by MapleLens.com for review purposes. However, this has not affected my thoughts on the product in any way. I have always loved these :) the burst of brown in the center is pretty. And you look good in them! I don't know how you do those contact lenses. You're a brave gal.